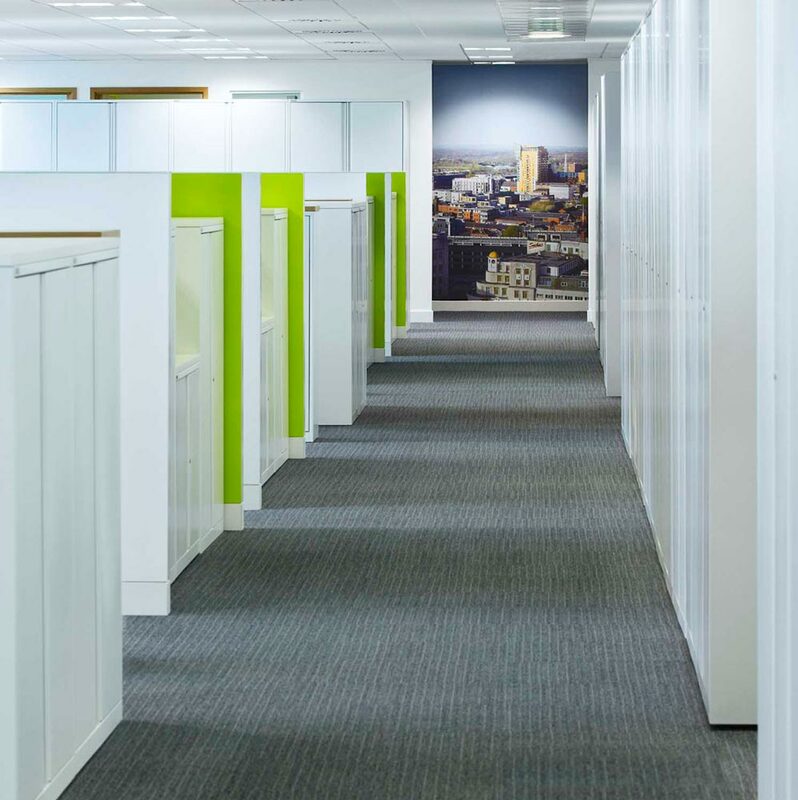 An office that is tidy and organised shows that a business can run efficiently and smoothly, whereas a messy and disorganised office reflects poorly on the business. As we move towards a paperless society where almost all of our information is stored electronically, there is almost no excuse for cluttered piles of paper on office desks. 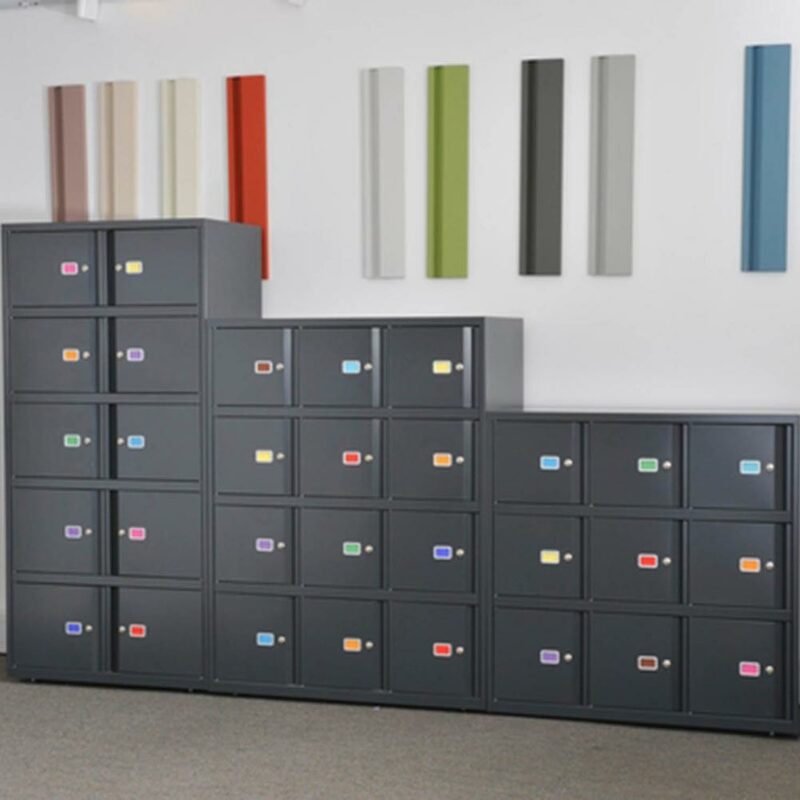 Sometimes it can be hard to create an efficient office with absolutely no paperwork lying around, which is why correct office storage is incredibly important. 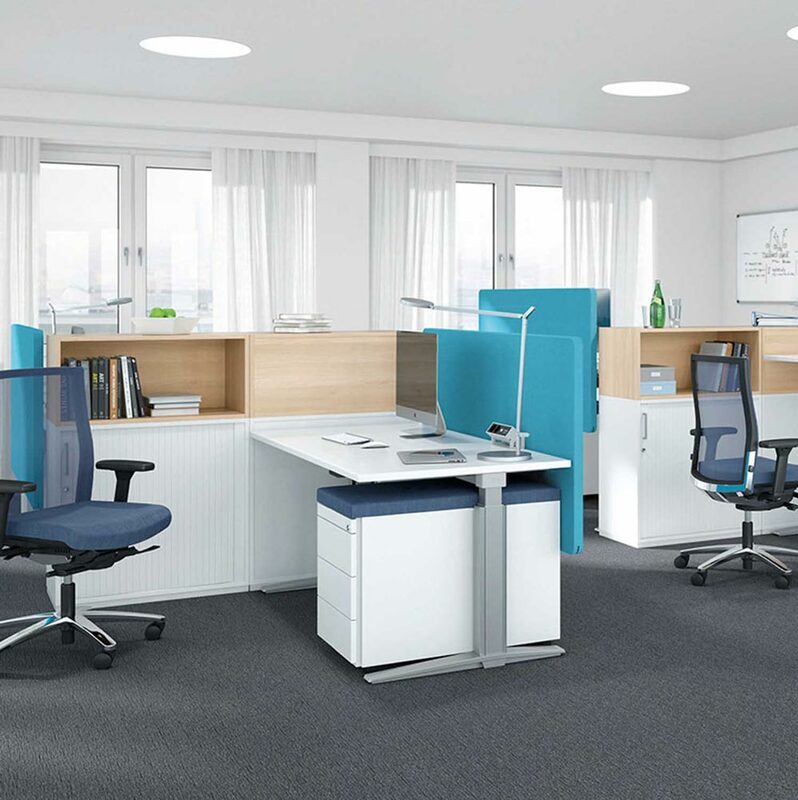 Efficient office storage not only gives off a good impression to your clients, but it also gives your employees more space, reducing stress and creating a relaxed atmosphere. This is where Rapid Office can lend a helping hand. 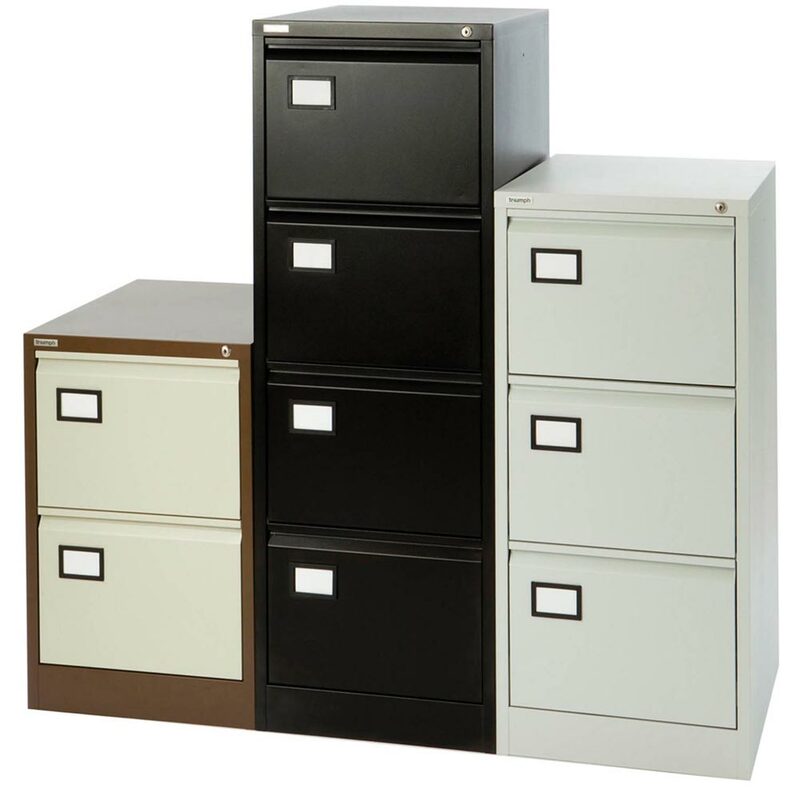 Another classic design of office storage is the pedestal. 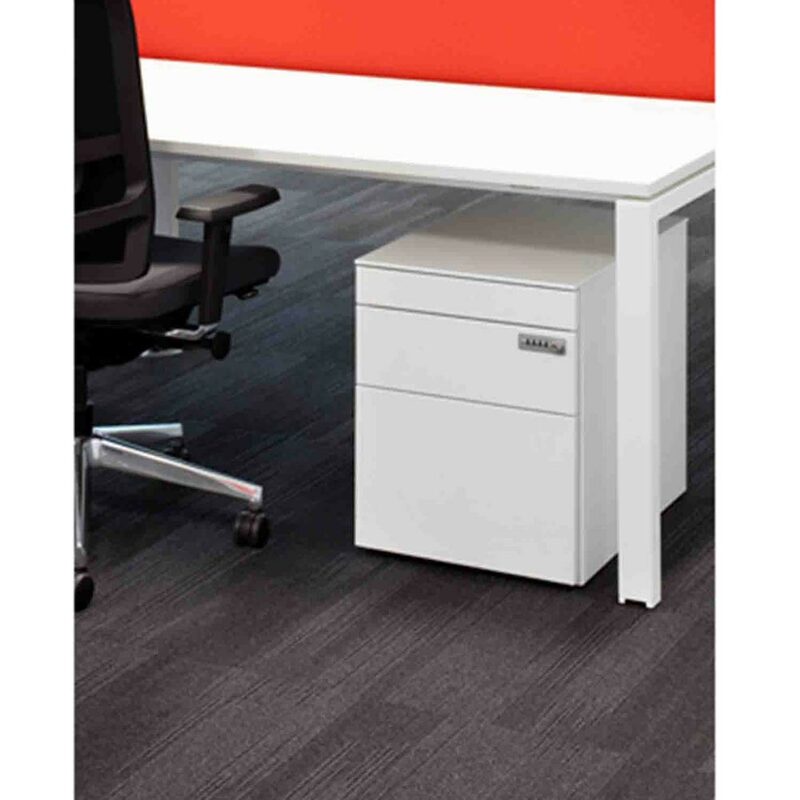 Pedestals are commonly available in desk high or under desk variations and giving one to each of your employees allows them to store their own documents and folders inside, as well as keeping personal belongings out of sight. A pedestal can sometimes be used to support the desk. 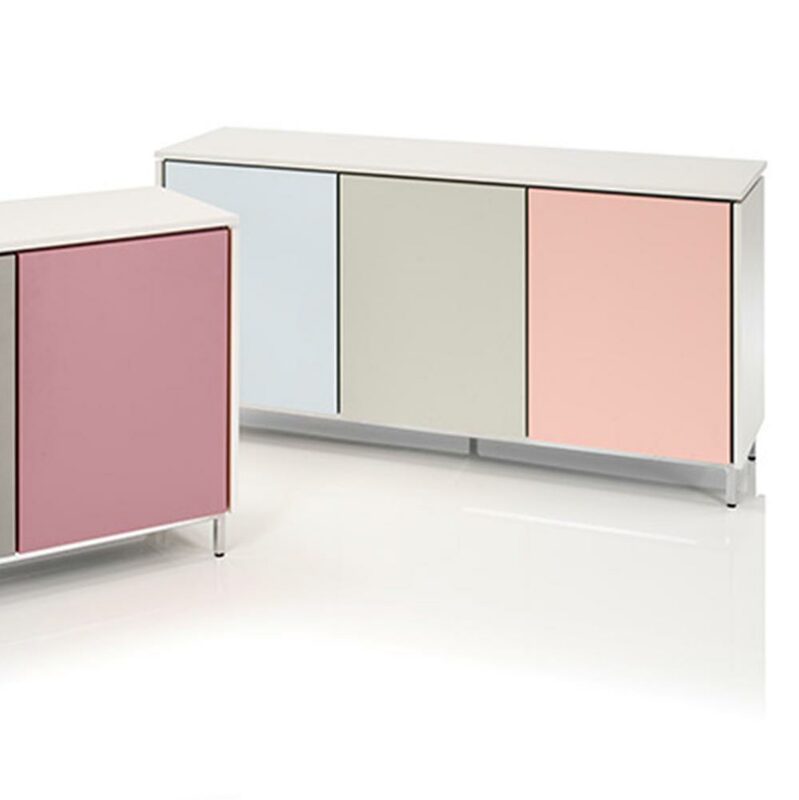 Pedestals can be made in almost any colour, allowing you to choose the perfect one for your office’s style and design. 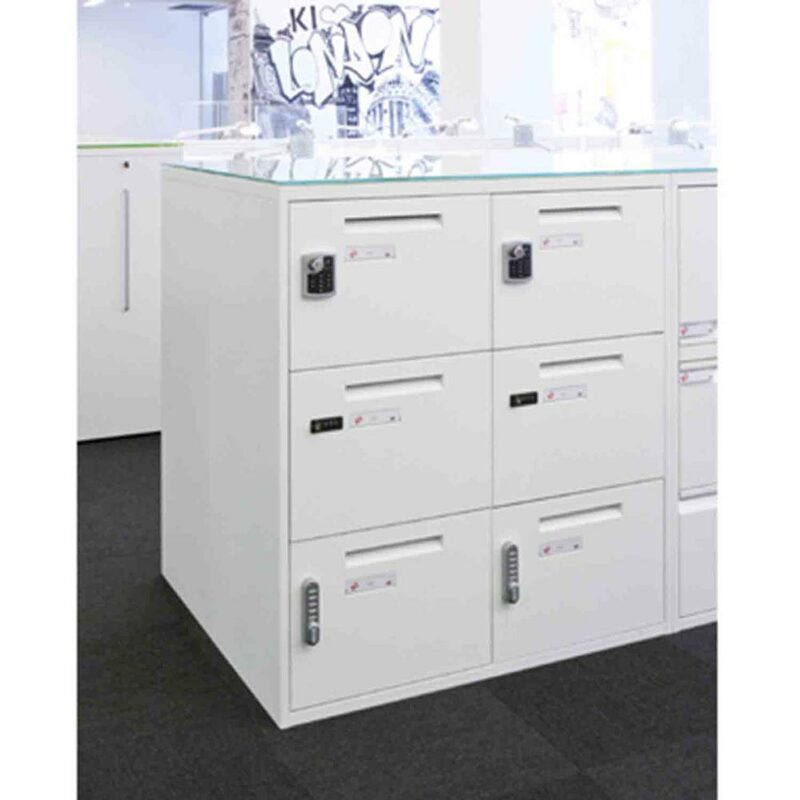 Depending on the level of privacy you want your employees to maintain, pedestal desk office storage can be manufactured with locks. 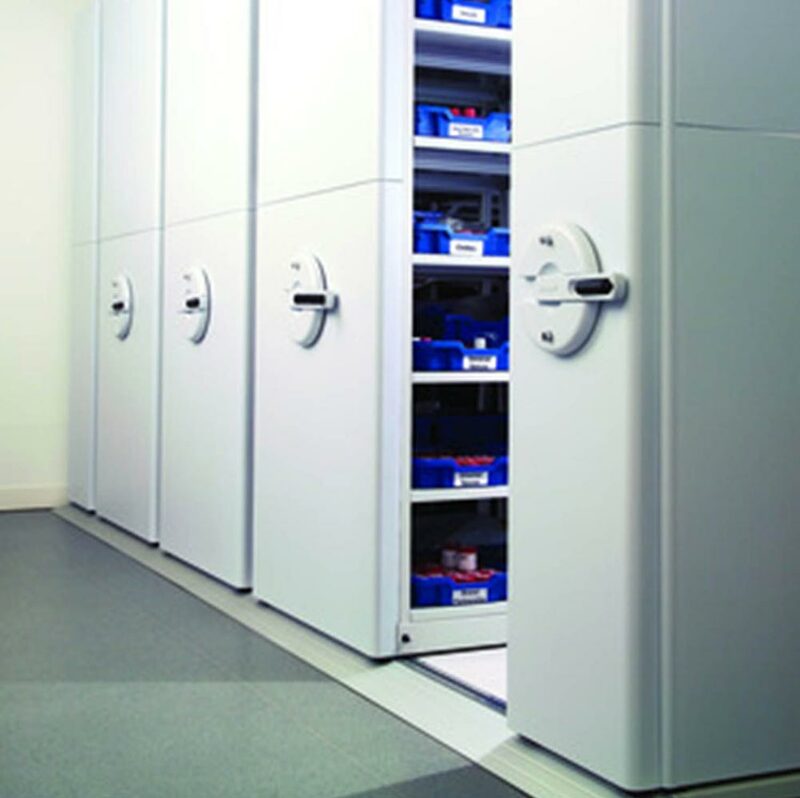 If your business is one that uses a lot of files, then individual office storage cupboards could be the best option. 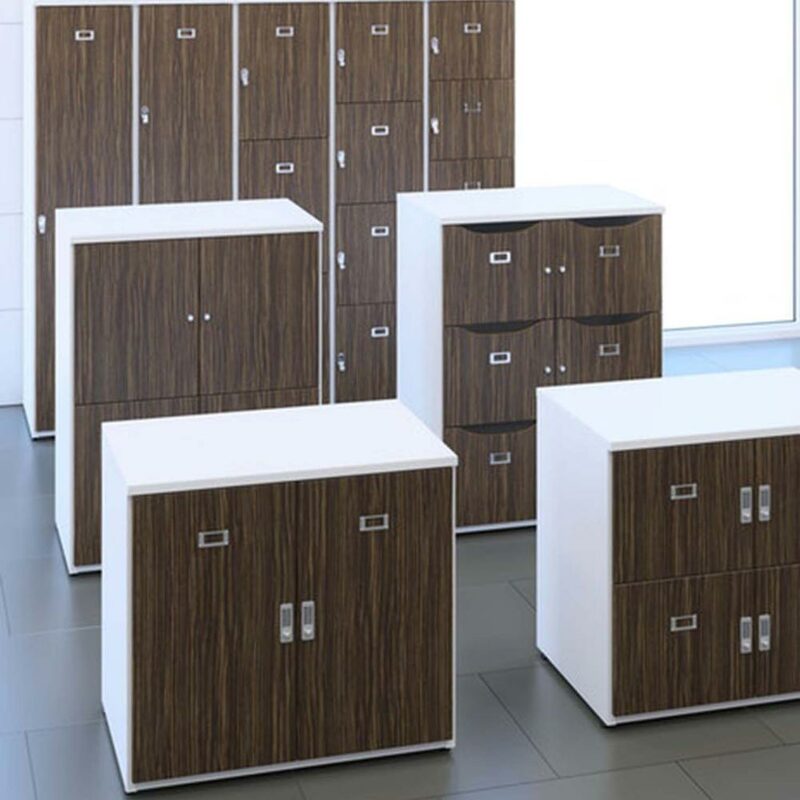 The great thing about this style of office storage is that it can blend in with any office décor. You don’t have to have a huge amount of space in your office to use cupboards as they rarely interfere with other office furniture. 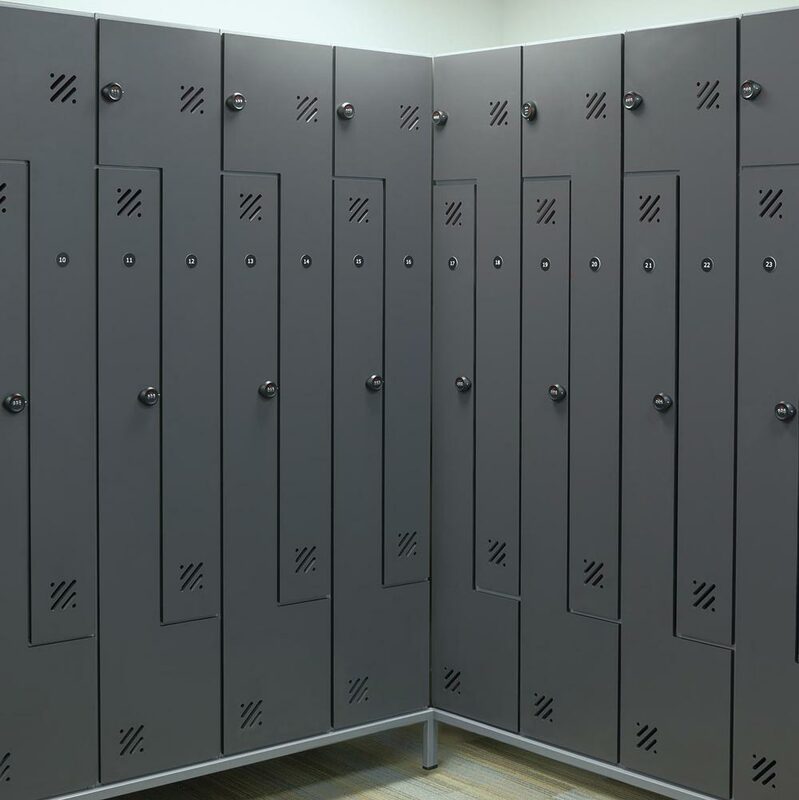 They are also incredibly cheap without compromising the quality, which means you don’t have to break the bank to get convenient storage for your office. They come in a variety of colours and door styles or even open fronted. Cupboards are a perfect addition to any office environment. Although mobile shelving doesn’t actually involve moving documents from one place to another, it is actually one of the most efficient systems of office storage. Depending on your exact requirements, mobile shelving can be made to move side to side or back to front. 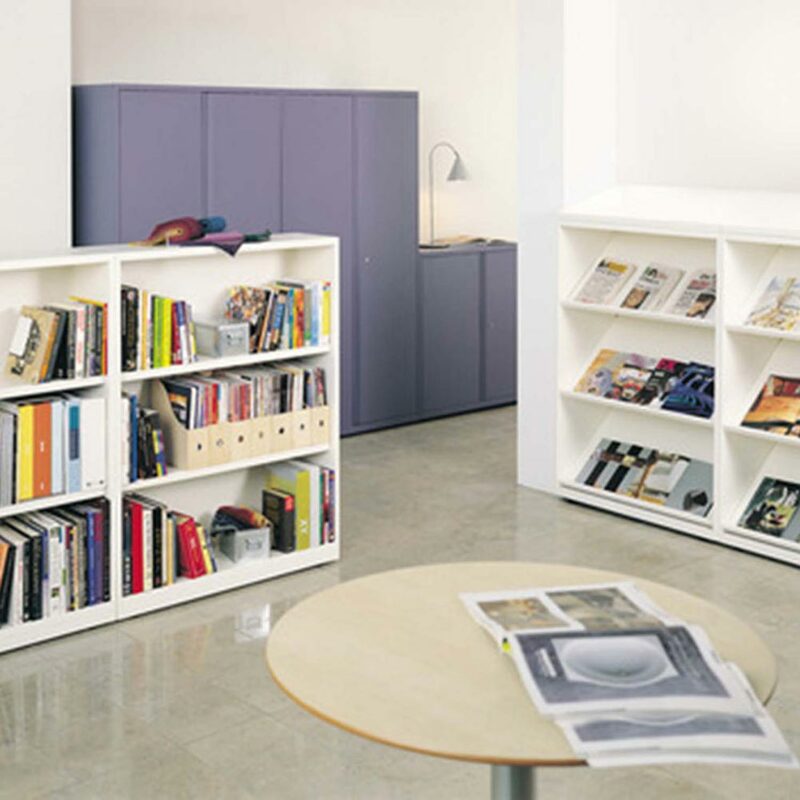 The main advantage of this type of shelving is that it reduces the floor space required and eliminates the need for further space planning as everything is stored in one place. Simply turn the handles to move the shelves apart and quickly locate exactly what you need. 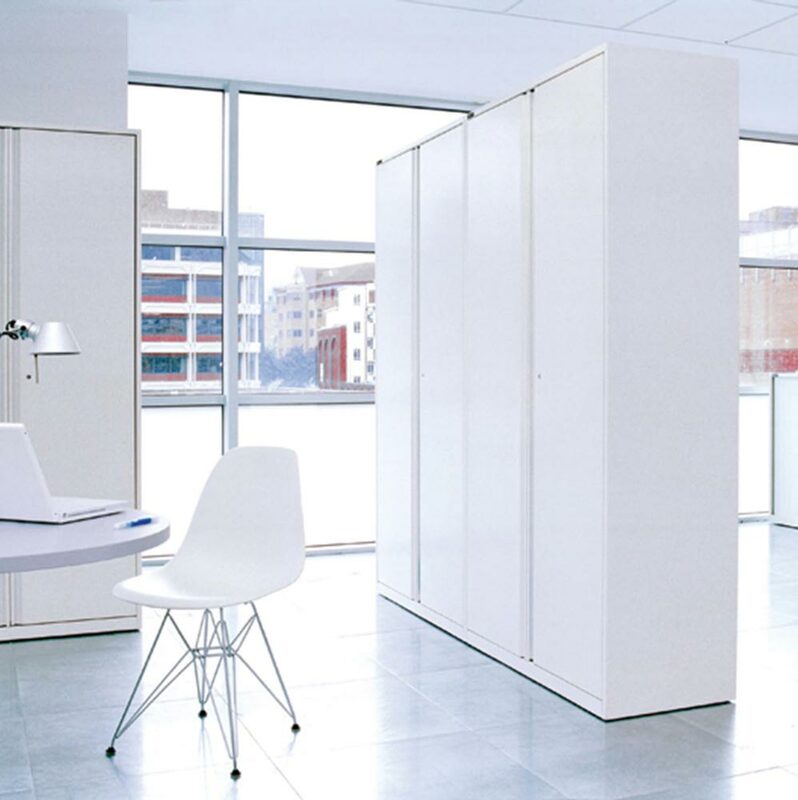 Before settling on a style of office storage, consider your business’ needs for it. If you need to access large amounts of documents quickly, consider mobile shelving, whilst files can easily be stored in cupboards. 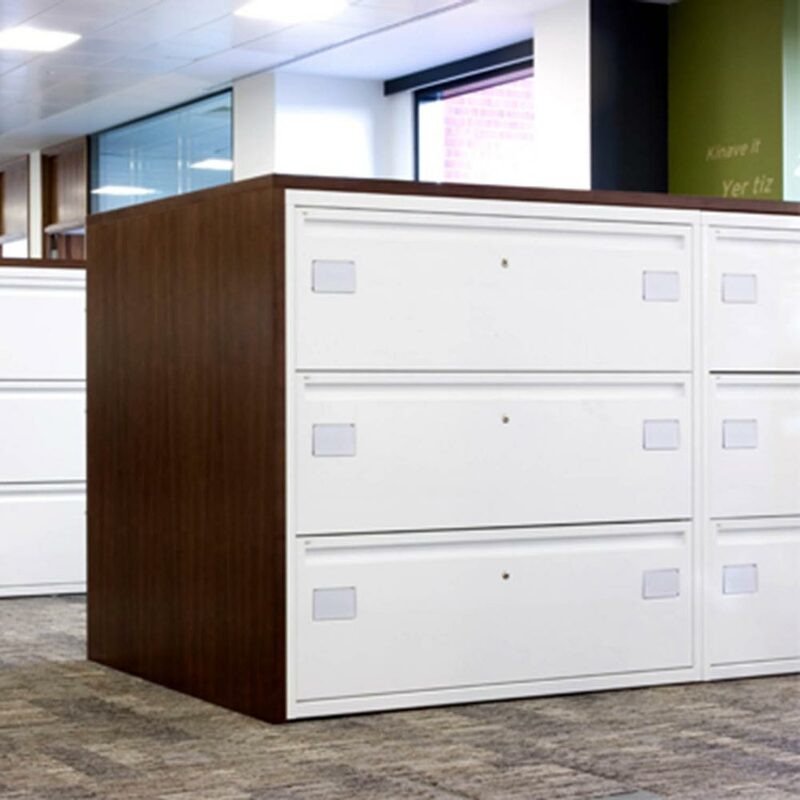 By choosing office storage that caters directly to your business, you can help streamline the work that you do, and therefore increase productivity.